Everyone knows the Audi quattro Cup and everyone wants to be part of it. To celebrate the Audi quattro Cup 25th anniversary, TMB Events was tasked with the design and delivery of a “Father & Son” / “Mother & Daughter” Golf Experience Day, which gave golf aficionados and Audi fans (young and grown up) the chance to celebrate their joint passion for the sleek and progressive German brand and for the British elite sport of golf. The event was held at the celebrated Woburn Golf Club on the 26th of October and it brought together 25 teams consisting of a “grown-up” and their junior playing partner. This was a fantastic exercise in terms of data capture, targeting and data mining as it allowed Audi to learn where the interest for quattro Cup was the strongest, who had an interest in golf, what other sports were popular with the Audi customers and it did this while engaging with its target in a very approachable and professional manner. The final 50 attendees were selected at random as a result of a competition, and were presented with joining instructions to ensure familiarity with the upcoming event and great excitement. The event kicked off with breakfast at the club and opened with a clinic for professional tuition or simply a practice session. The half-way house provided some much-needed refreshments and the 18th hole was celebrated with lunch in The Howland Room followed by a trick shot show with the World Trick Shot Champion, Geoff Swain and the prize presentation. 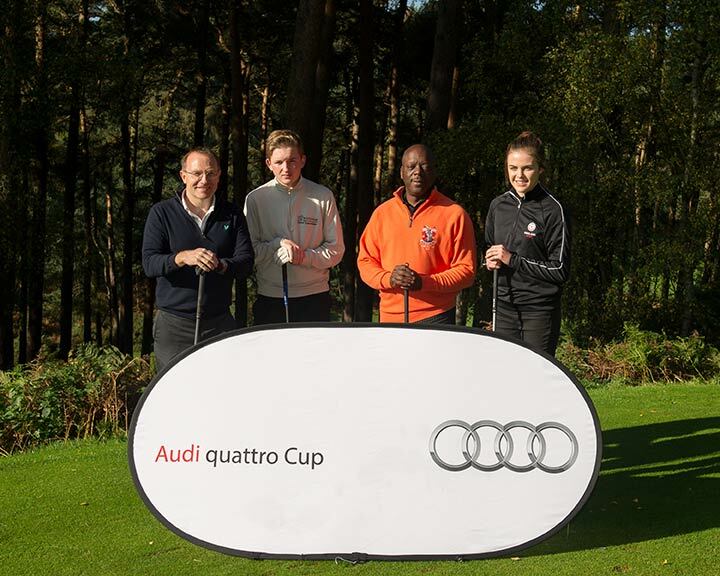 The Golf Experience Day acted as a taster event of the quattro Cup and raised interest in the world’s largest amateur golf event, the Audi quattro Cup, now in it’s 26th year.